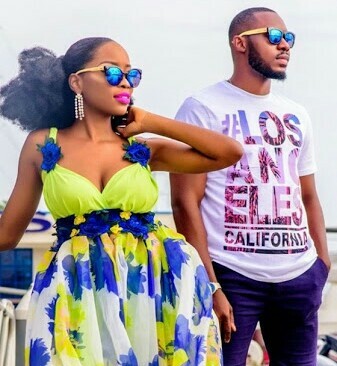 Femi is set to wed his beautiful girlfriend named Ruona Edu. 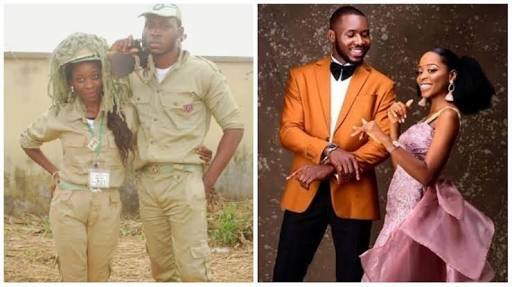 According to him, they met in NYSC camp four years ago, in 2014, and have been in love since then. 'Love they say transcends all barriers, I can comfortably say this because ours did. I met Ruona on the 7th of August 2014, it still surprises her, how I remember the exact day. As an otondo I had just resumed orientation camp, and was trying to make new friends, and mix with the crowd, when I stumbled on this beauty, gosh! She was in my platoon (Platoon 1), as a sharp guy I made conscious moves to get to know her via a mutual friend whom I had also just recently met. I worked my charm and she couldn't resist (lol), we became friends and the chemistry between us was intense, and quite noticeable by all. It wasn't long before peeps started asking if we had been dating before we came to camp, we would just laugh it off, we practically did everything together, wherever you see Ruona I wasn't more than 10mtrs away (no jokes...she jazzed me) lol. We had no intentions to go beyond being platonic friends because there were "barriers" (lol). Not long we were both chosen to represent our platoon in the Mr Macho/Miss NYSC Pageants, which we both excelled as 1st runner-ups. I remember her crying when I got my posting to Ogbere, because we had both hoped to be posted to the same LG. She promised she'd come visit (but she didn't..story for another day). We became official in March of 2015, and it has been Love at every sight since then. God gave me this gift, and I'm glad I didn't miss it. I'm grateful for the journey thus, and can't wait for that big day when you officially become mine. I love you Ruonalee'.